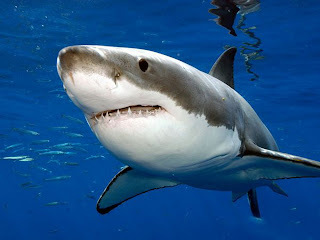 Animal Wildlife | Great White Shark | Great white sharks (white shark) are found in coastal waters in every major ocean but the great white shark is most commonly sighted around Australia, South Africa, California and Mexico. The great white shark can grow to more than 8m long and weigh well over 2,000kg. This makes the great white shark the worlds largest predatory fish! The great white shark has been known to attack humans in the water, this is often because the shark mistakes the human for another animal which it normally hunts since sharks do not like the taste of humans. 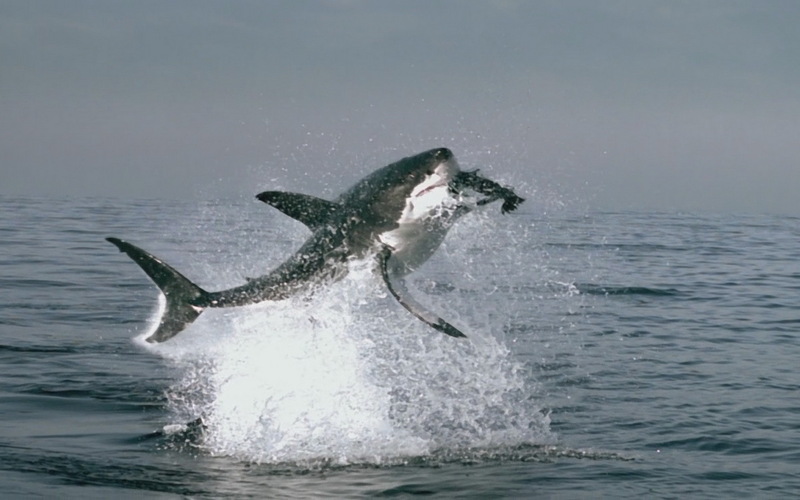 The great white shark hunts large fish, seal, porpoise, dolphin and whale, with the great white shark using an ambush technique to surprise their prey in order to secure their catch. 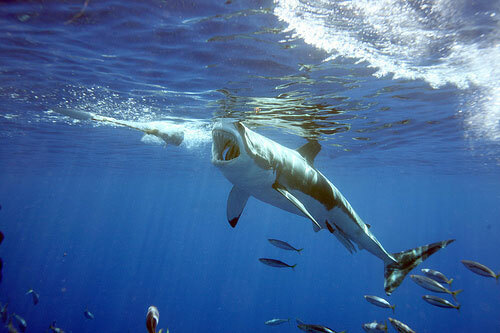 The great white shark is found in waters from just 1 m deep to 1,200 m deep. The great white shark has approximately 300 teeth which are arranged in a number of rows along both the great white sharks top and bottom jaws. 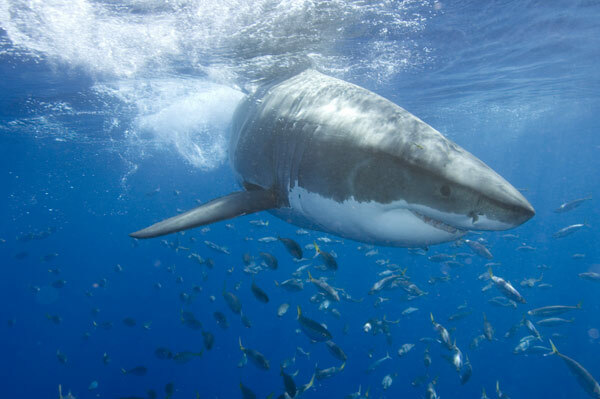 Due to the dominance and aggressiveness of the great white shark, the great white shark has no natural predators within the natural environment of the great white shark. The great white has shark has been known to fight with similar sized killer whales (orca) but this is a rare occurrence, and the great white shark has also been known to have been killed by large pods of dolphins that ram the great white shark. 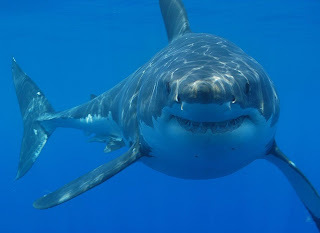 The greatest predatory threat to the great white shark is the human being, many of whom kill the great white shark for both defensive reasons and for the meat of this apex predator. It is because of the threat to the great white shark from humans that has led to the population numbers of the great white shark decreasing making the great white shark a threatened species today. 0 Response to "Great White Shark"